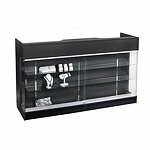 Display cases offer an upscale touch for your premium merchandise when on exhibit. 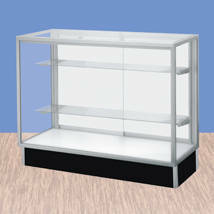 This 60 inch Metal Framed Extra Vision Display Case is built to last. 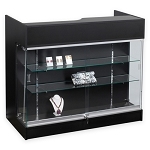 A strong melamine laminate exterior finish, tempered glass, and anodized aluminum frame on this retail display offer the durability you need. 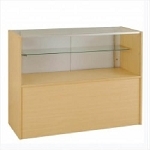 This display cabinet is also available in a 48 inch wide, 70 inch wide, and also a corner version. Take some measurements and create a completely customized display system for your retail store. 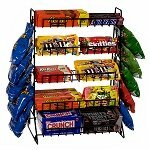 Invest in your business and add to your shopping cart today!